Activity Level - Tabletop tasks with fun movement breaks. Days - 6 weekly sessions during school terms; modified program when run on school holidays. Cost - $ 90 per session. Private Fund and medicare (GP approval - EPC) rebate-able*. 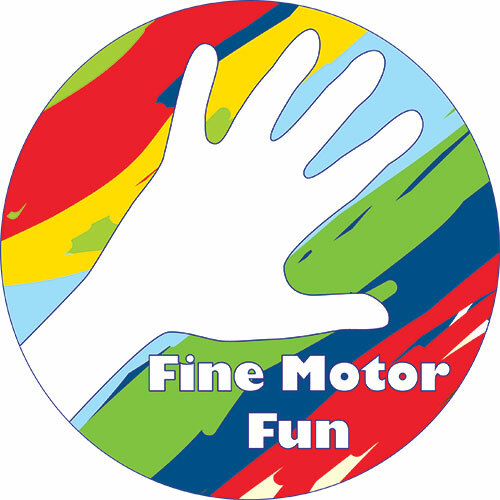 This is a group designed to work separating your child's 'skill fingers and thumb' from ring and little finger so he develops more intricate efficient fine motor skills. Pay Up Front Discount - 5 % of total cost if paid in full upfront. Receipts provided after each session with claimable rebates for medicare and/ or private health if you have funding available to you. If pay weekly, you must commit to every group session. There will be one catch-up session in the 7th week and you can come to one other catch-up session nominated throughout the year if you miss 2 sessions, otherwise all funds must be payable 10 days after session if you did not attend that session. This is due to commitments made by the therapist and the upfront cost of resources used in the sessions. For Children 3.5–5 year-olds (Pre- Prep & Prep). For children who have preferred to play outside at kindy rather than engage in craft and table top tasks. Kindy philosophy quite rightly suggests all children at kindy should be allowed to explore on their own terms so they can fine activities they fine most motivating and work on their exploratory and focus skills with those motivating tasks. This give your child time to learn how to pace themselves, self-calm while being challenged by a motivating climbing, bike riding or block building activity. This builds their curiosity for challenges and learning. The downside, if your child finds hand fine motor tasks a challenge they will avoid these at Kindy and not develop the necessary in-hand manipulation skills required for prep. To be efficient drawers or writers you need to have efficient fine motor skills to hold the pencil as comfortable as possible (in-hand manipulation and dynamic finger movement) for an extended length of time (hand muscle strength and endurance). These movements should be close to automatic for your child so they can focus on perfecting their drawing or their writing skills without the ‘load’ or worry of having to think about holding the pencil. Fine motor efficient skills are crazy important! We want you child to learn how to start a craft task, know what the intermediate steps are in that task (sequence and organise their thoughts) so they complete each step logically and finish the task. We want you child to find activities fun and exciting. Neuroscience literature suggest if you can pair a tricky task a child is learning ( such as fine motor task) with being motivated, excited and happy to attempt and try the task then they develop a positive association with ‘tricky’ fine motor activities and are more likely to try at home, Kindy and school. Come out and help your child practice his fine motor skills and learn specifics yourself. Help your child be one step closer to being less averse to being creative engaging in craft tasks and writing comfortably using dynamic fine motor skills to hold a pencil. These are all important skills for kindy and school. The more practice the more these skills will improve ready for school. If you are unsure if your child needs extra fine motor practice, you can book for a fine motor screen or you can come anyway for extra practice. Please note this is an early intervention group. An experienced therapist to run the group and all the resources will be provided. You just have to turn up with your child. Different caregivers can come different weeks if you can’t come to all of them. It allows others in your family to spend some quality time interacting with your child. Your child is exposed to social rules in a group context. We will model sharing ( Whose turn is it for the scissors, can you ask Tom for the red crayon etc.) in preparation for more negotiation and interaction with their peers. Show your child that you are interested in their work and learning about more complex pre-writing, fine motor skills. We do not have child minding facilities, we are unable to accommodate for siblings. Please sort out child care arrangements before agreeing to come and/ or arrange for incidental care giving if one of your children is sick from school. It is not fair on other families and can affect the group dynamics. Contact Thrive Therapy and we can arrange for a therapist to call you back and help you decide whether this group is appropriate and whether it would be best to either have a therapy screen first or attend a less technical group before attending this group. What if my child doesn’t end up drawing representational pictures? It is all about practice, the more practice the closer your child gets to improving the quality of their hand movement and their drawing skills. There will be a therapist available to help you adjust the program and provide advice. If you want your child to start to draw and they don’t end up drawing representational pictures then adjust your expectations and the therapist will help you with ideas on how to continue to develop your child’s skills.